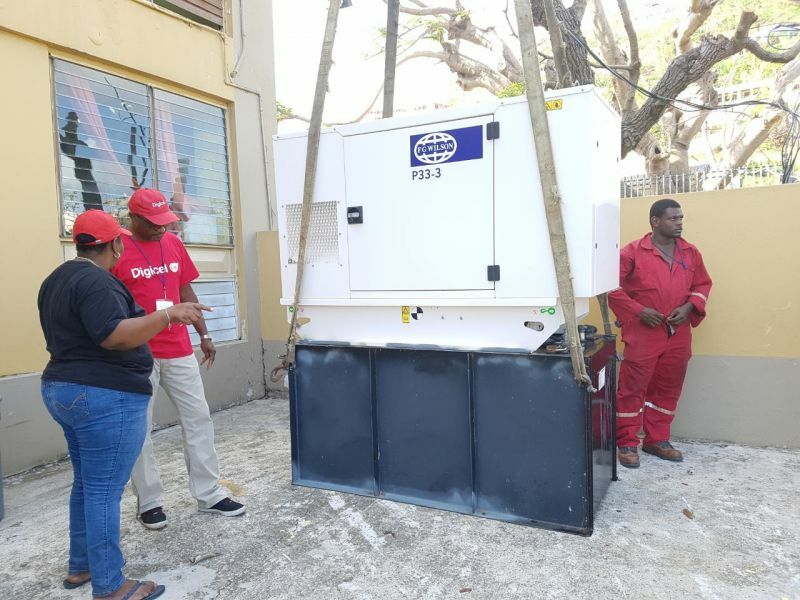 Digicel who adopted the school in September 2016, donated a FG Wilson generator within less than 24 hours following the visit from Chairman and Owner of Digicel, Mr Dennis O'Brien on October 3, 2017. In an exclusive interview with Kevin R. Gordon, CEO of Digicel BVI, he expressed that it is important to serve the community and especially Althea Scatliffe Primary School. He said, "It gives us great privilege to serve the community and to serve Althea Scatliffe Primary School. They have a special place in my heart," adding that there are 465 students that were displaced following hurricane Irma. According to Mr Gordon, his team is working quickly to get back ASPS to normalcy for the benefit of the students, the economy and the territory. "We will do whatever is required to get back ASPS back to its original pride that it once had before," emphasised Digicel's CEO. 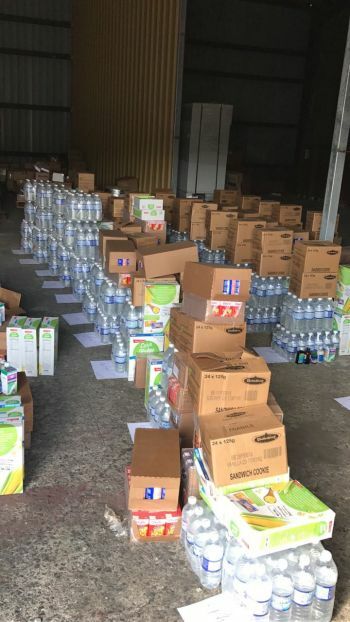 Mr Kevin Gordon disclosed to our news reporter that at the moment a contractor is sorting through the electrical issues due to hurricane Irma, noting that an estimate has already been provided. He further informed this news site that he is working with the ministry of education to go through the estimate and to prioritise to ensure that they are focusing on what is important. "Once we have signed off on the approval to go ahead, we will start working," Mr Gordon explained. 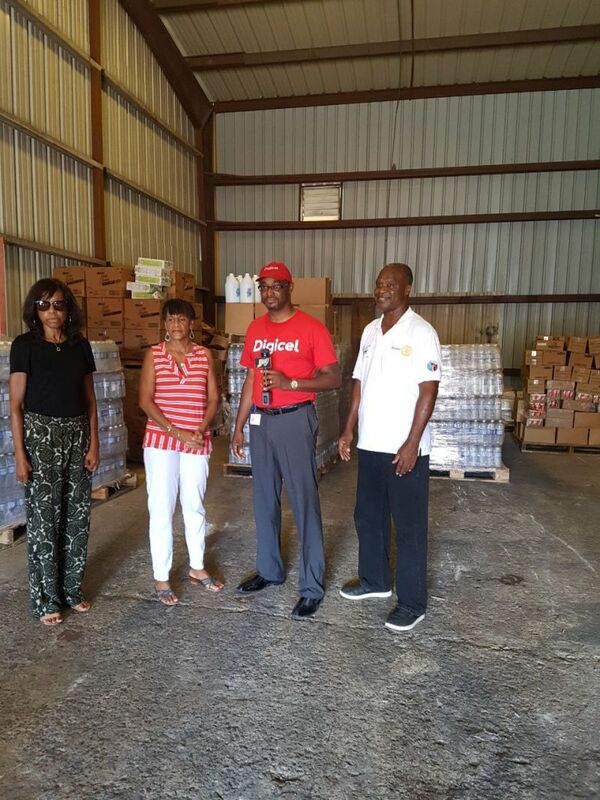 Digicel BVI, along with Facey Commodity and Wisynco Distributors, donated relief items such as water and food supplies to Digicel staff and Rotary Club of Tortola Friday October 6, 2017 in the area of Fish Bay. 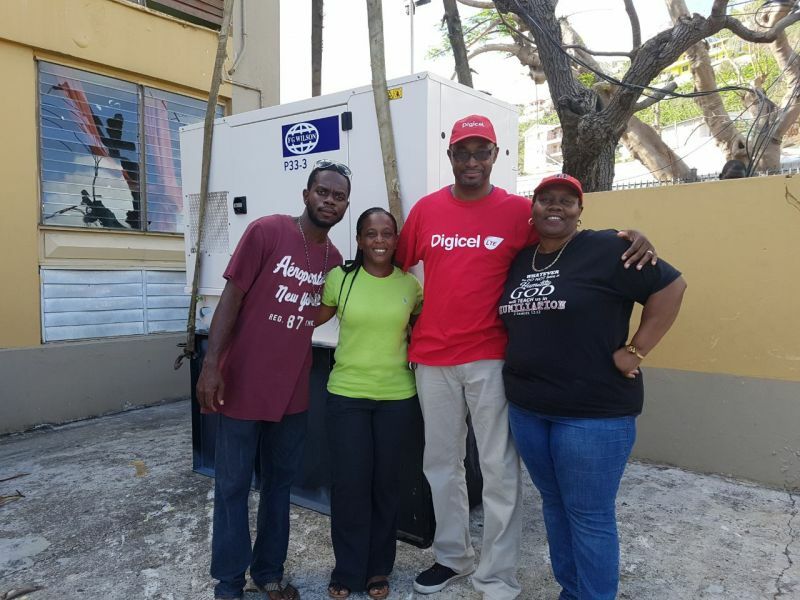 Digicel continues to assist with the rebuilding and recovery efforts throughout the territory. Digicel has expanded coverage to the following areas: Belmont, Smugglers Cove, Sebastians, Pockwood Pond, Sopers Hole, Frenchman's Cay, Havers, Boway, Cox Heath, Fish Bay, Kingston, Gorda Peak, North Sound, Jost Van Dyke, East End, Anegada Ferry Dock and parts of the main town. Tortola Population Coverage: 80 percent, Virgin Gorda: 70 percent; Jost Van Dyke: 30 percent and Anegada: 30 percent. Keep doing good. U will be rewarded. They are some reluctants in high places to praise u for your good because u r not local but ignore that and continue doing good. U have made me a believer and im sure im not alone.....Lots of companies only come here to make money and use their workers as slaves and paper towels....The #1 is that big Super market just sold to foreigners...Bad decision..
and remember the same wicked NDP and their investment club buddies tried to block Digicel from coming to the BVI. You are right. Havent heard about any of the club businesses donating anything major to relief efforts which says a lot! Irma showing everybody true colors and its a great thing. We were with flow. We already switch to Digicel. We love the Caring attitude of Digicel....Keep it up..